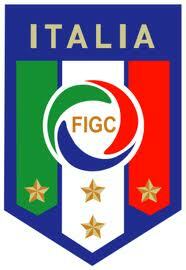 This afternoon, four-time World Cup champions Italy take on the reigning World Cup champion Spain. Iniesta, Balotelli, Xavi, Casillas, Buffon, Fabregas, De Rossi, Ramos, Cassano, and on and on. It is world football at its best. Why oh why then will our poor souls instead be pulled to Conakry to suffer through the tedium of watching the Egyptian national team take on Guinea's Syli Nationale? What is it about us that causes this morbid attachment? What have we done to deserve this fate? Coach Bradley and za poyz have done it! A determined display by a side with growing confidence and self belief. Coming back twice, first from being a goal down, then from a dispiriting goal at the tail end of regulation, and doing so away from home, is a sign of a team that can go places...Brazil is getting closer. ...oh yeah, and Forza Italia! Spain was shut down and outplayed by gli Azzurri.